Pictures of my watches, both past and present. 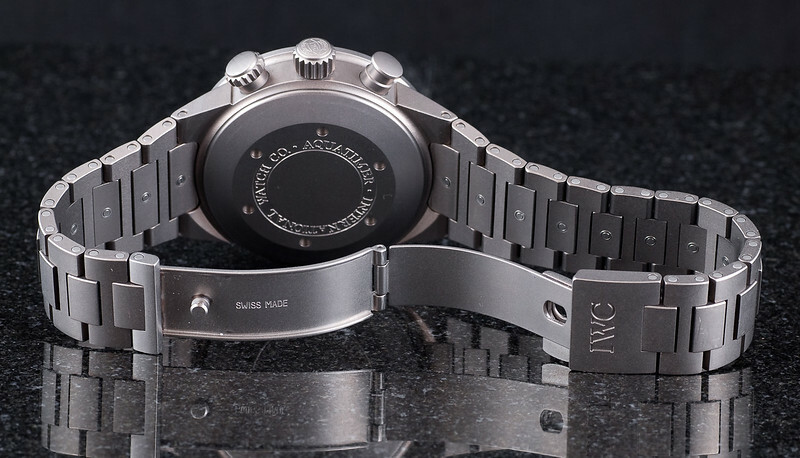 IWC Aquatimer Titanium Chronograph on bracelet. View from the back with the clasp open, just to show there's nothing hiding there.